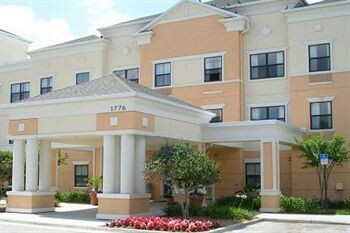 Property Location Located in Orlando (North Orlando), Extended Stay America Orlando - Maitland - Pembrook Dr. is convenient to Zora Neale Hurston National Museum of Fine Arts and St. Lawrence AME Church. This aparthotel is within close proximity of Links at 434 Golf Course and Congo River Golf - Altamonte Springs.Rooms Make yourself at home in one of the 83 air-conditioned rooms featuring kitchens with refrigerators and microwaves. Premium TV channels and DVD players are provided for your entertainment, while complimentary wireless Internet access keeps you connected. Conveniences include desks and separate sitting areas, as well as phones with free local calls.Rec, Spa, Premium Amenities Don’t miss out on recreational opportunities including an outdoor pool and a fitness center. Additional amenities include complimentary wireless Internet access, a television in the lobby, and a picnic area.Dining A complimentary continental breakfast is served daily.Business, Other Amenities Featured amenities include laundry facilities, a safe deposit box at the front desk, and an elevator (lift).